Pokemon fans are in for a treat on March 24th. 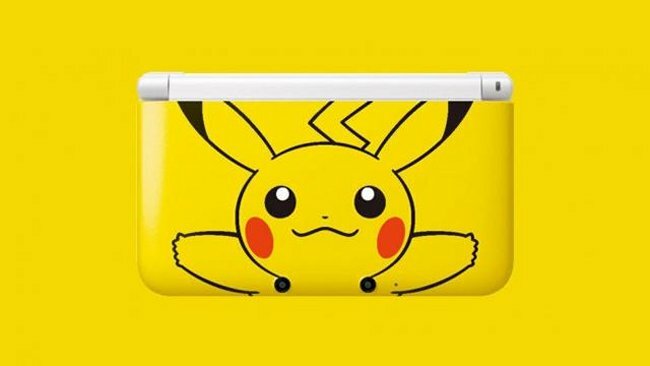 That’s when the Pikachu Edition Nintendo 3DS XL will be made available in the U.S.
Aside from having everyone’s favorite Pokemon on the lid, everything else about this Pikachu Edition Nintendo 3DS XL remains the same. Each $199.99 purchase also gets you a 4GB SD memory card, which will be available while stock lasts. Pokémon Mystery Dungeon: Gates to Infinity launches the same day, so Pikachu fans will be doubly happy. I don’t think that’s a coincidence. Fans will buy them both. If you have to catch them all, don’t miss this one.